installation, maintenance and repair service for Government, Schools, etc. Hi-Tech specializes in installation, maintenance, and repair service for Audio/Visual equipment, Broadcast Video equipment, and Pro Audio equipment. Our expert staff has over 60 years experience with cutting edge technologies. We can perform inventory appraisals, asset removal and disposal, on-site maintenance and repair, facility upgrades and total installation/integration. Complex modern internet streaming technologies are no problem for our technicians. 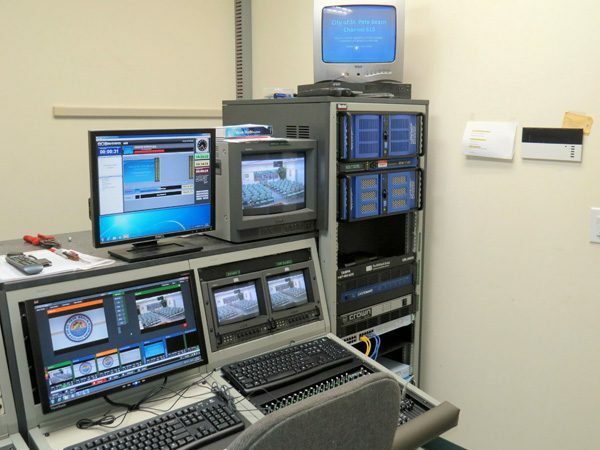 They have designed and implemented numerous video switching, streaming and broadcast solutions for a growing list of satisfied clients with a particular emphasis on City and County governments, Schools, Professional Sporting clubs and more. When you need expert guidance to help navigate the myriad options available for modern communication you can depend on the trusted pros at Hi-Tech. Hi-Tech offers affordable installation, maintenance, and repair service! Hi-Tech is your one stop repair shop offering quick reliable repair complete with a 90-day parts and labor warranty. Our service department is staffed by professionally trained service technicians. All work is done in-house by our engineers. Written estimates are given before work is done. Protect your investment with a service and maintenance agreement. With service and maintenance contracts you could have a repair specialist “on staff” without having to pay the year-round costs of a full-time employee. Only pay for what you need, when you need it. Extended service contracts maintain and protect against out of warranty repairs which can, in turn, extend the life of your equipment.